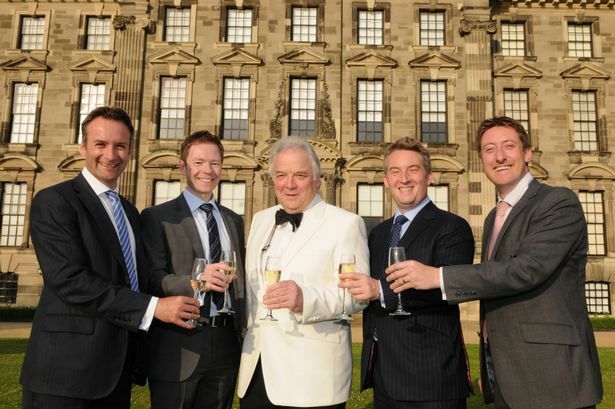 Deloitte held its annual financial services dinner at Stoneleigh Abbey in Warwickshire. Matt Perkins, Pete Birch, Hosts, Deloitte; Martin Vander Weyer, Guest Speaker; Simon Thompson, Kieren Cooper, Hosts, Deloitte. Deloitte held its annual financial services dinner at Stoneleigh Abbey in Warwickshire, which was attended by nearly 90 senior contacts from within the financial services industry. The dinner was hosted by partners from the Deloitte Midlands financial services team, including Matt Perkins, Pete Birch, Kieren Cooper and Simon Thompson. Guests were joined by Martin Vander Weyer, business editor of The Spectator, who gave some thought-provoking perspectives on the considerable and unprecedented changes within the financial services industry, and how that resonates against the new appetite for growth, as the economy continues to strengthen. Following his address, Martin responded to questions from the floor and was extremely well received by all those that attended.